The Maxton ISO25 2.5" isolation couplings designed for electric isolation (preventing electrolysis) in hydraulic elevators. 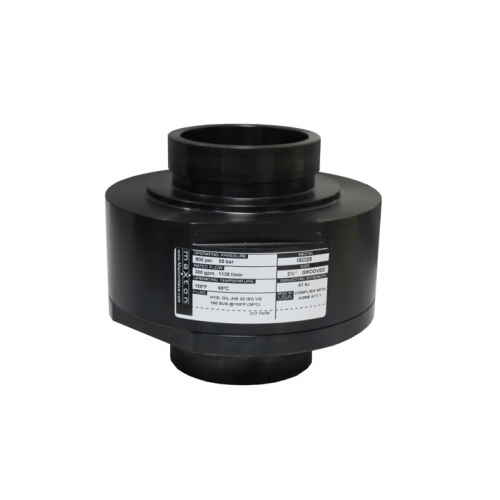 The ISO25 is comprised of two grooved pipe flangescoupled by a threaded retainer ring. This design has increased strength, reduced weight and all at a lower cost. The threaded ring design provides unmatched strength through the consistent sealing touque around the Thermoplastic Seal. Our insulators are created with the highest quality hybrid thermoplastic resulting in superior performance, noise and vibration reduction. 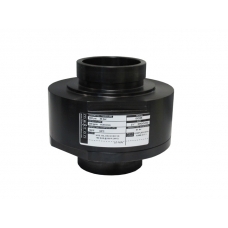 Complies with ASME A17.1/CSA B44.